Technology has caught up to sports fans who want to connect 24/7 with their favorite teams. In September 2018 the NFL alone accounted for approximately 3% of all streaming plays and viewing hours in the US. 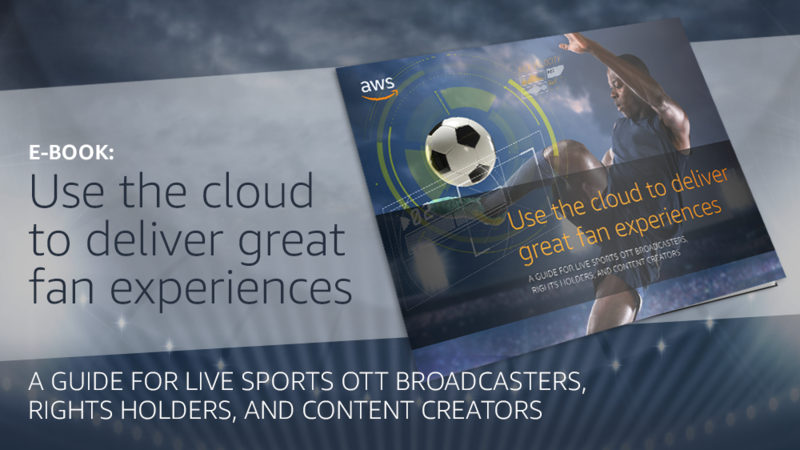 This e-book explains how purpose-built media services and solutions from Amazon Web Services (AWS) and AWS Elemental use the cloud to match the quality of a broadcast-grade live sports hardware infrastructure, while enhancing fan experiences and creating new customization and monetization opportunities.